Bellerive Quay is becoming quite the destination for foodies, with many new little restaurants and cafes opening over the last few years (Cugini being one of my new favourites). Three Little Ducks is ideally situated with the cafe-front on Cambridge Road, and the back of the restaurant overlooking Bellerive Marina – a spectacular spot on a nice day to while away some time. The occasion for my visit last week was my cousin Amy’s 16th birthday brunch, and we certainly weren’t disappointed with the size of the servings! I was happy with my choice, the eggs were poached to perfection. 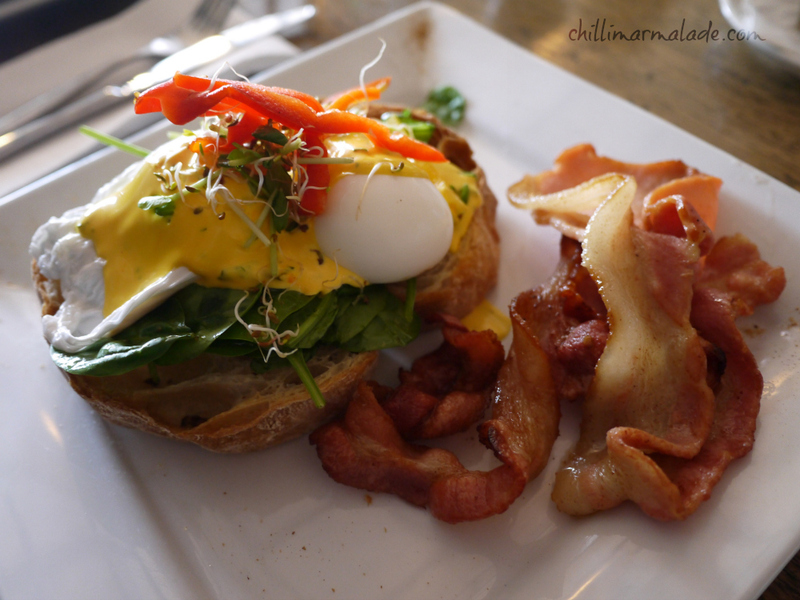 However I would have loved an extra drizzle of hollandaise, it was very tasty. Also, the black pud was cut a little thick, so the inside was a tad gluggy, but these are small niggles in an otherwise excellent value meal. Service was fabulous, little chocolate ducks were included with every coffee, and we left with very full tummies. Great spot for a group breakfast if you’re keen to please everyone! 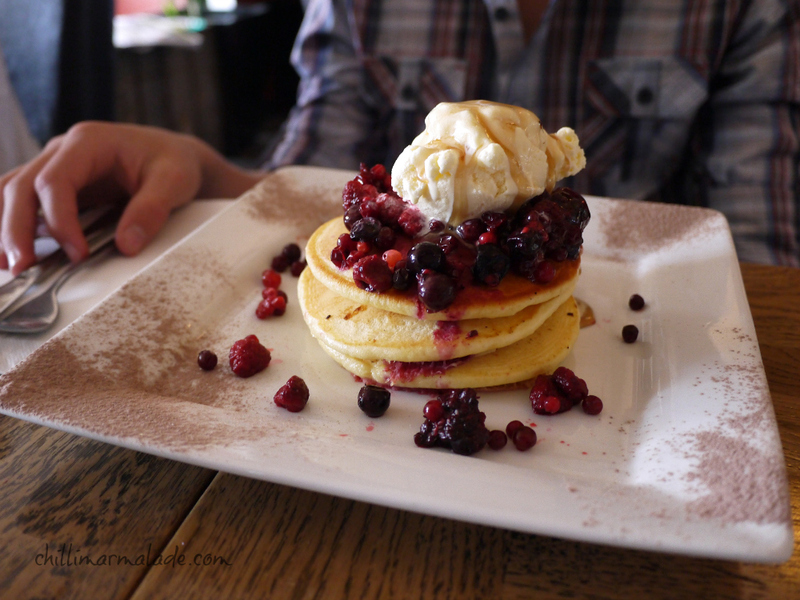 Tags: breakfast, brunch, eating out, food, Hobart, Tasmania, Three Little Ducks Bellerive. Bookmark the permalink. Hobart is one my list for my next trip home to Oz. Thanks for the tips! Black pud. I think I’m in love!! Have a great Christmas and all the rest! Black pudding is the king of the breakfast plate. Happy Christmas to you too! !